Reverse seared New York Strip! One of my favorite meals is steak night! Last Saturday night was a rainy, Houston night, so what could be better than a steak and a movie at home? A creature of habit, I usually cook a steak the steak the same way each time. The same seasoning, the same sides, the same method. A good steak doesn't come cheap, so why take a chance and risk getting it wrong? 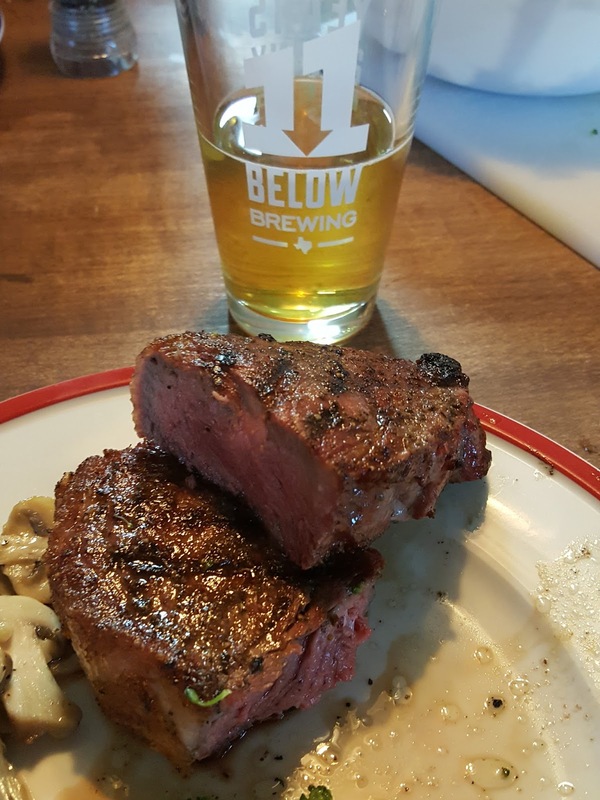 I have been hearing a lot about the "reverse sear method," when it comes to grilling meats, especially steaks. I decided to take a leap of faith with the two New York Strips I had picked up and try it out. I'm not sure that I'll ever go back. The cooking time is a little longer, but well worth the wait. The color is consistent throughout and melts like butter. Grill the steak over indirect heat. 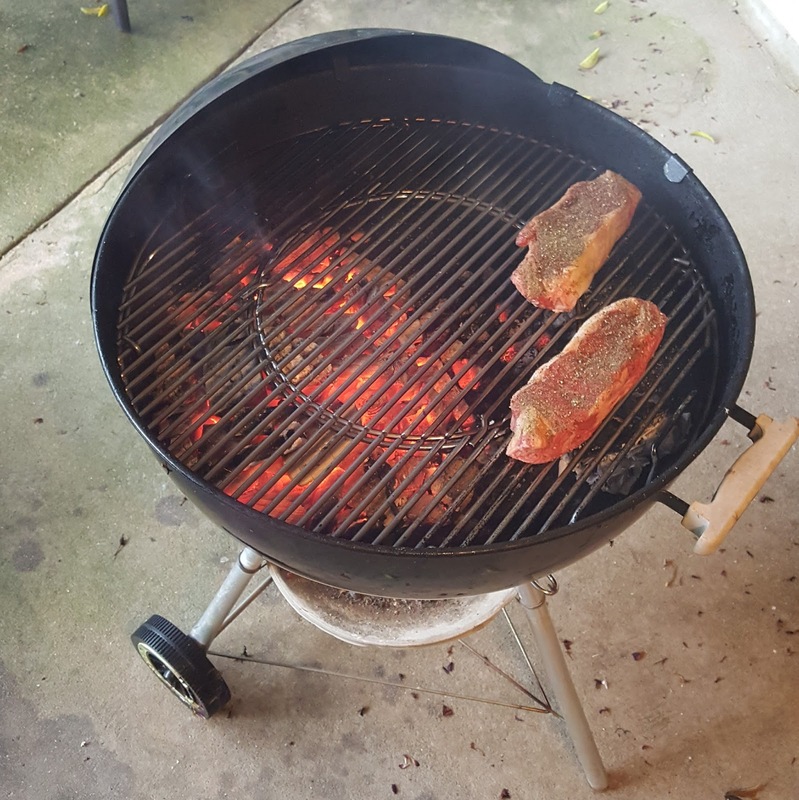 Conventional wisdom would tell you that a good sear when a piece of meat first lands on the grill will lock the juices in. The reverse sear does the same thing, but better. Since the meat is not over direct heat, the juices don't ever have a chance to cook out, making for a more tender, juicier steak. Enough of me talking about it, let's cook! Prepare a charcoal grill. For tips on setting up your grill visit here. 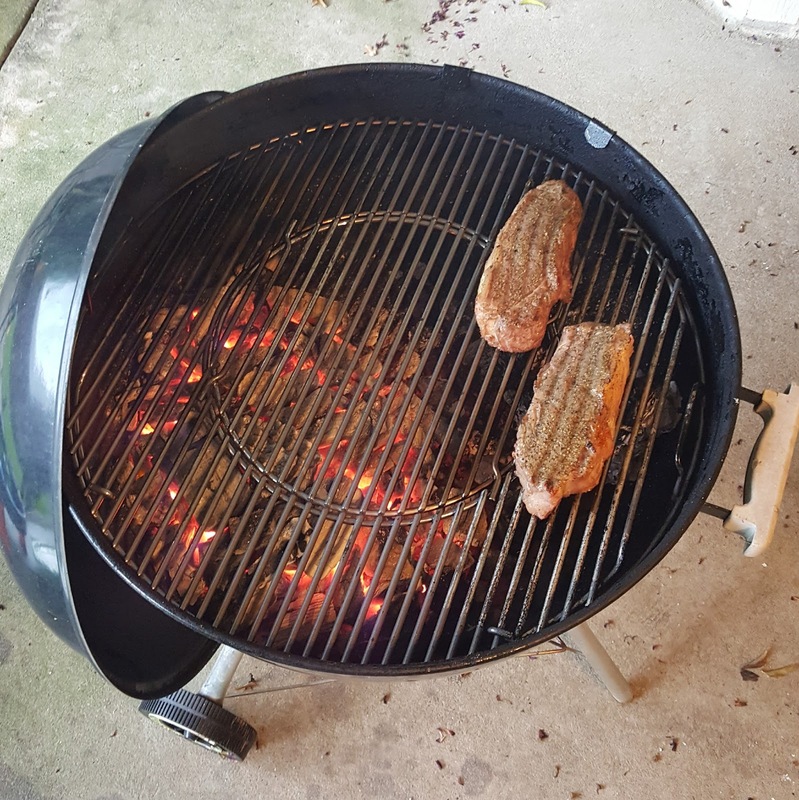 The fire should be built on one side of the grill, so that the steak can cook over indirect heat. Season the steak and let sit out at room temperature. This will allow the steak to cook more evenly. Finish the steak over the fire. 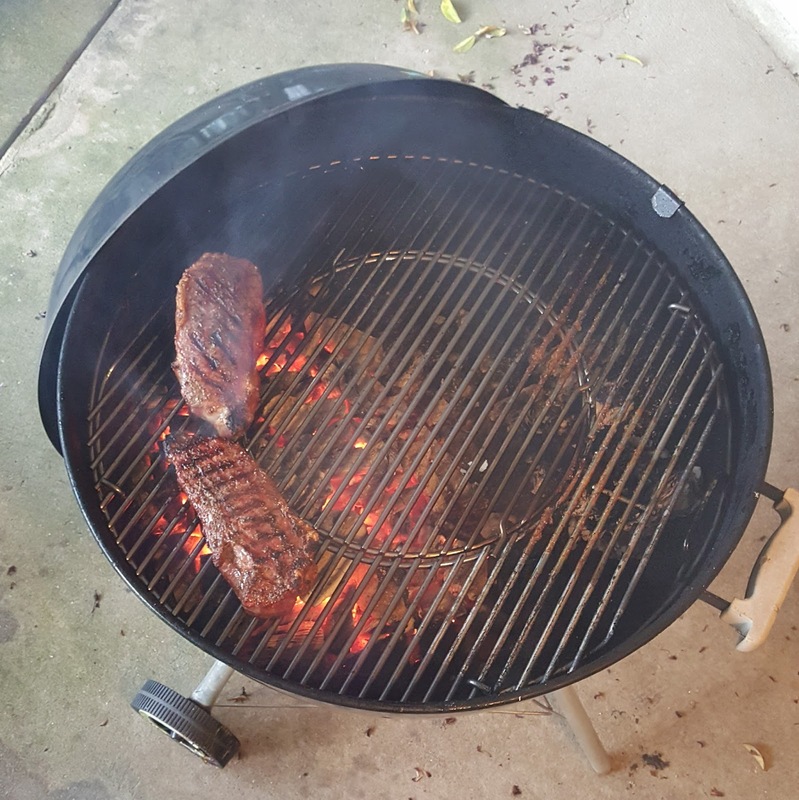 The idea of the "reverse sear method" is to cook the steak before it goes over the flame, leaving it to sear at the very end. Place the seasoned steak on the grill, opposite from the fire. I cooked my steak 6 to 7 minutes per side over indirect heat per side, before searing it about a minute per side over the fire. This still allowed for a nice medium rare dark pink color that was consistent throughout. This steak was delicious and I cannot wait to repeat the experience!